A few weeks ago Nine aired a special looking at Qantas Flight 32 which averted a major disaster when it suffered engine failure four minutes into a flight from Singapore to Sydney in 2010. This weekend Nat Geo screens Air Crash Investigation, which looks at the same incident. After making a refueling stop in Singapore, Qantas Flight 32 is back in the air and on the way to its final destination of Sydney, Australia. The double-decker A380 aircraft is being piloted by former fighter pilot Captain Richard de Crespigny, First Officer Matt Hicks and Second Officer Mark Johnson. Just four minutes into the flight, an engine begins to fail… and then explodes. The damaged engine is dangerously hot. The wings are filled with tonnes of highly flammable jet fuel. This state-of-the-art plane is now in very real danger of becoming a fireball. One wrong move could lead to one of the deadliest air disasters the world has ever seen. The list of failures continues to grow, taxing the pilots’ abilities to respond. 6,300 kilometres away at the Qantas Operations Centre in Sydney, engineers try to make sense of the cascade of errors. It’s like nothing they’ve ever seen before. Qantas Flight 32 seems to be failing in almost every conceivable way – and no one knows how long the plane can stay in the air. Back on board Flight 32, Captain de Crespigny knows he’s running out of time. He needs to get the damaged plane on the ground. That means turning around and heading back to Singapore. As Captain de Crespigny completes the turn, Second Officer Mark Johnson gets a sobering view. He can clearly see that the wing has been punctured straight through from below. The cause of the damage is obvious – the inboard left side engine is blown to pieces. But knowing why the plane is failing doesn’t make it easier to fly – and the heavy load of flammable fuel means any landing attempt will be extremely dangerous. Finally, after a gruelling two hour ordeal, Qantas 32 comes to a stop on the same runway it took off from. Three hours after their dramatic landing, the pilots get the all clear and their first look at the damage. Sunday 8:30pm on Nat Geo. We watched a few of these when I was in ground school to be a flightie. 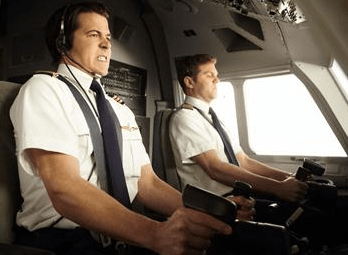 When people ask about whether I’m scared about things going wrong like in these shows, the answer is an emphatic no because I have such faith in the planes and the pilots, I know we’re in the best hands. Occasionally – just as on the road – something may go terribly wrong, but we’re in the best hands to give us the best chance of survival. I remembered this footage similar to the Nine’s documentary Mayday Mayday: terror of QF32. It had scenes that contained disturbing images of the A380 engine failure. At least this will be focusing on just this incident, unlike the 9 doco which was 3 accidents in one and passed off as a special on QF32. I watched this episode when I was (ahem) in the errr… US recently ;). Very highly recommended episode. I hadn’t realised just how bad things had gone on that flight. The smarts and heroics of the pilot and crew are something to admire. One of the big surprises was how the drama didn’t end after the landing. It continued for quite some time on the tarmac at Singapore after they landed. Definitely a must watch!